whole: the image occupies the majority, held within a circular green border. 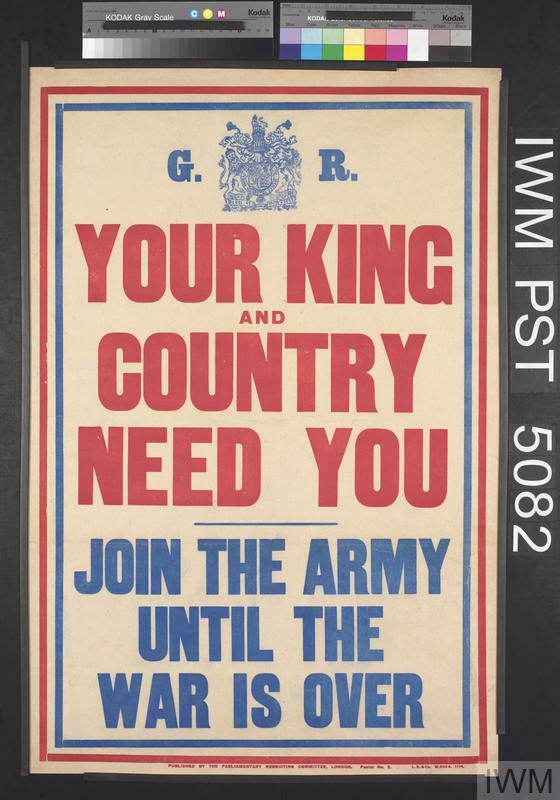 The title is separate and positioned across the top and across the bottom, in green and set against a dark brown background. 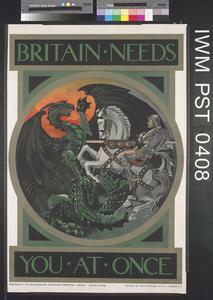 The image and title are both held within a grey, green and dark brown design. 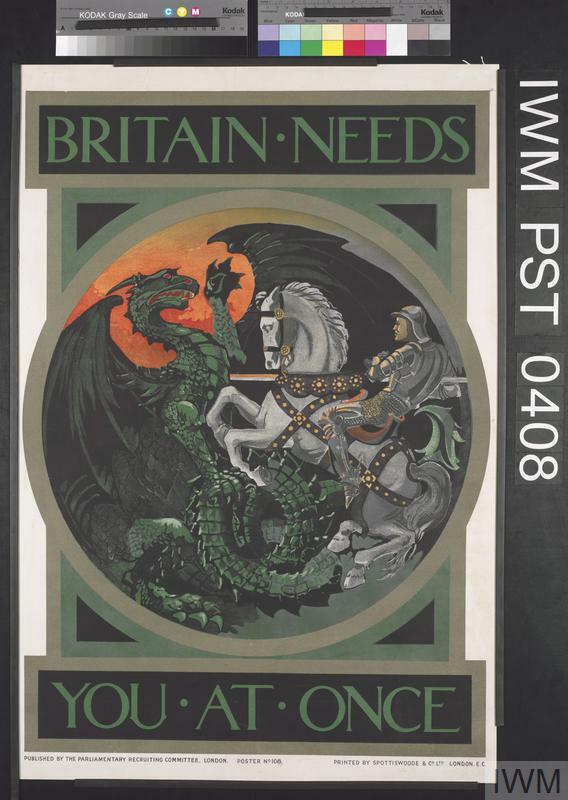 image: St George, in full plate armour, on horseback facing left, driving his lance into the body of a winged dragon. 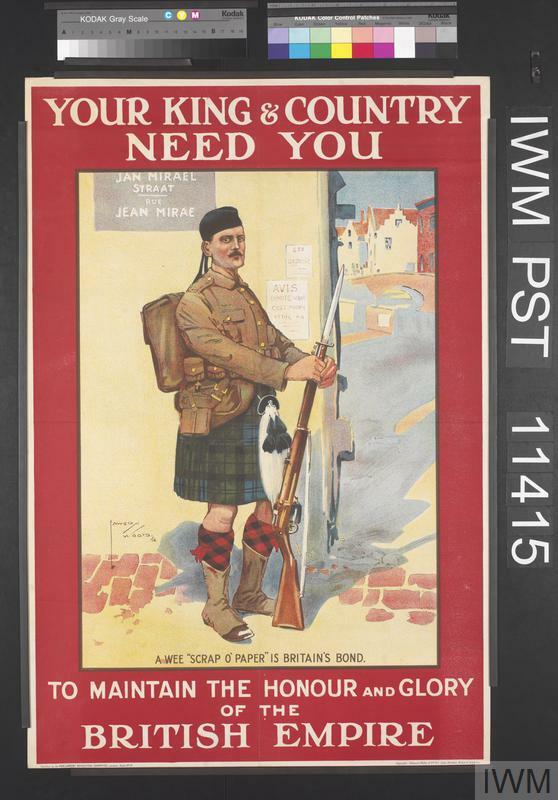 text: BRITAIN NEEDS YOU AT ONCE PUBLISHED BY THE PARLIAMENTARY RECRUITING COMMITTEE, LONDON. POSTER No. 108. PRINTED BY SPOTTISWOODE AND Co. L.T.D. LONDON, E.C. 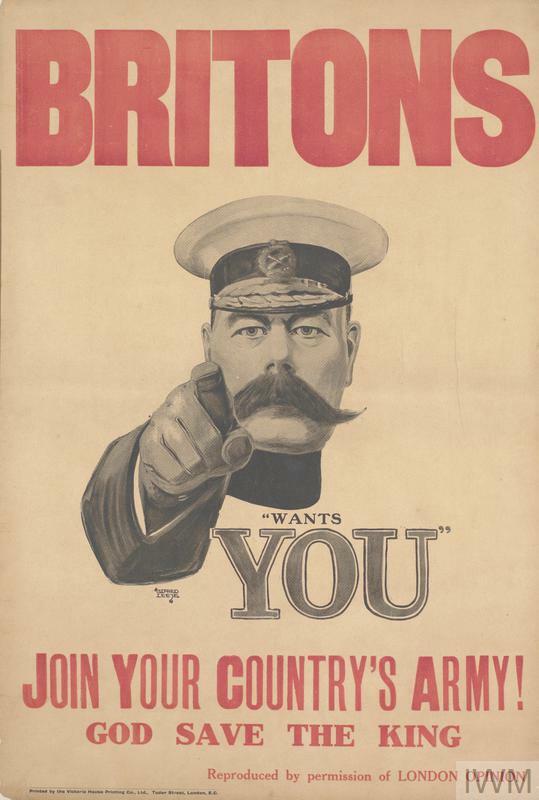 Parliamentary Recruiting Committee Poster No.108. Single sheet, printed on one side only. 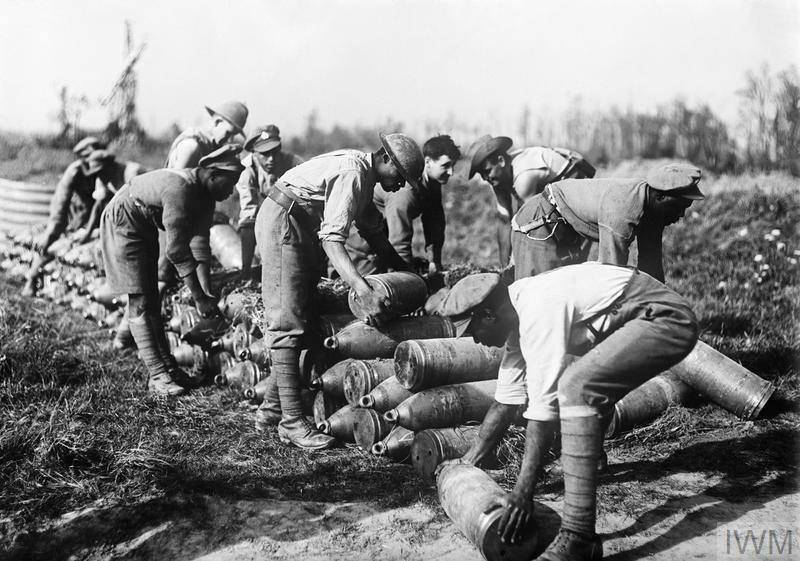 Saint George, although acknowledged as patron saint of England since the 14th century, was also a national symbol common to several of the belligerents in the First World War.